Get trained on strategy scorecards and KPIs – build a prototype of Balanced Scorecard for your business. 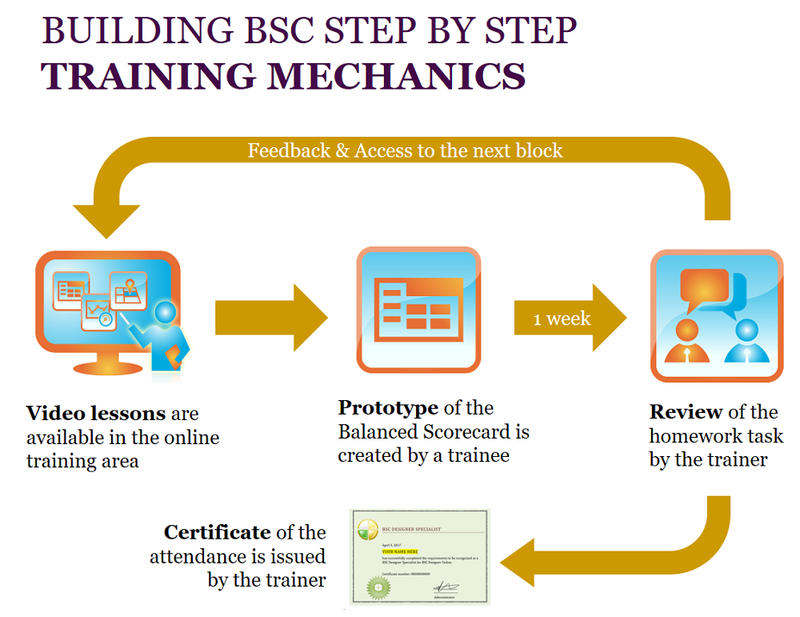 Building BSC Step by Step is an online training that helps business professionals to define their strategy, describe it on a strategy map, make it measurable with performance indicators, and communicate it across their company. Building BSC Step by Step is our main training. In the theoretical part you will learn all key nuances about strategy execution using the Balanced Scorecard framework. In the practical part you will apply obtained knowledge and under the supervision of your trainer you will build a prototype of a balanced scorecard for your business. Let’s take a closer look at the program for the training. Check out the training programs of “KPIs Training and Certification” training that is also a part of this training. Training area online. 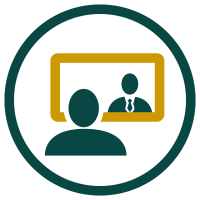 After signing up with the training, trainee will have access to the online training area. Training materials. Trainees have immediate access to all training materials (including “locked” ones). Training process. Trainees have 1 week to watch training videos of the theoretical and practical parts and do a homework task. Homework task review. Trainer reviews homework task, send his/her feedback, and opens the next block of the training. Certification. When trainees are finished with all blocks, trainer will issue a training completion certificate. The “Premium” option is the “Full” option described above + additional live training sessions. Those training sessions can be done in the form of the online meetings or we can also arrange them on client’s site.